We provide local services supported by a global network of permaculture professionals who aim to create regenerative, high quality designs that not only improve the land but also the quality of life of all inhabitants. We believe in thoughtful observation of natural systems, a blend of whole systems thinking and ecologically responsive design, and a reverence of traditional and local knowledge. We consider everyone as a stakeholder in the protection and revitalization of biological systems and thus offer our services through conventional and alternative economic streams. We are a group of passionate people dedicated to empower the world through sensible permaculture design and creating resilient, abundant, fulfilling landscapes. Towards this aim we have formed Surplus Permaculture Design, a co-operative of qualified permaculture designers, to help spread the seeds of change. We have bases in 3 continents (North America, Europe, South East Asia,) with a support network extending all around the world. This gives us a unique opportunity to operate globally while minimizing our travel emissions and working with local designers. Our designers all have extensive experience with permaculture design, hands on implementation, and facilitation of courses. Surplus cooperates with The Panya Project, permaculture education center, in Thailand. 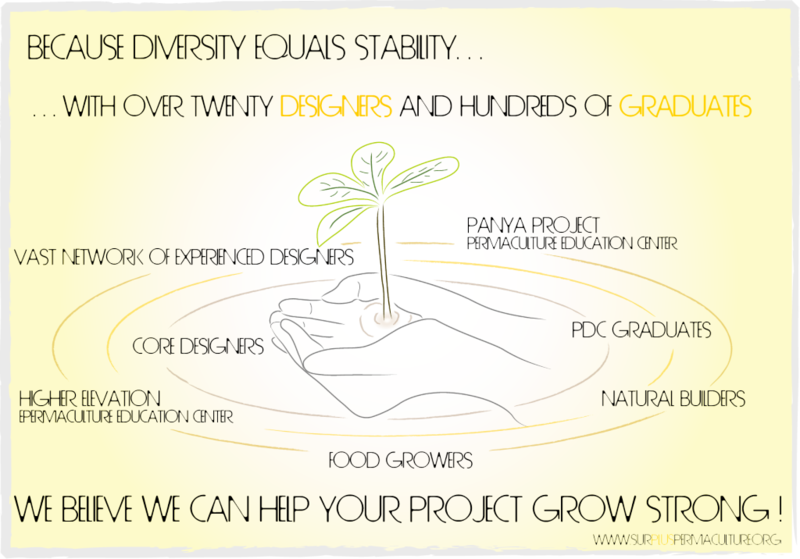 Over the course of the last eight years, hundreds of people took their permaculture design course (PDC) there. Around thirty of them stayed to study various domains of permaculture in depth for 2+ years. 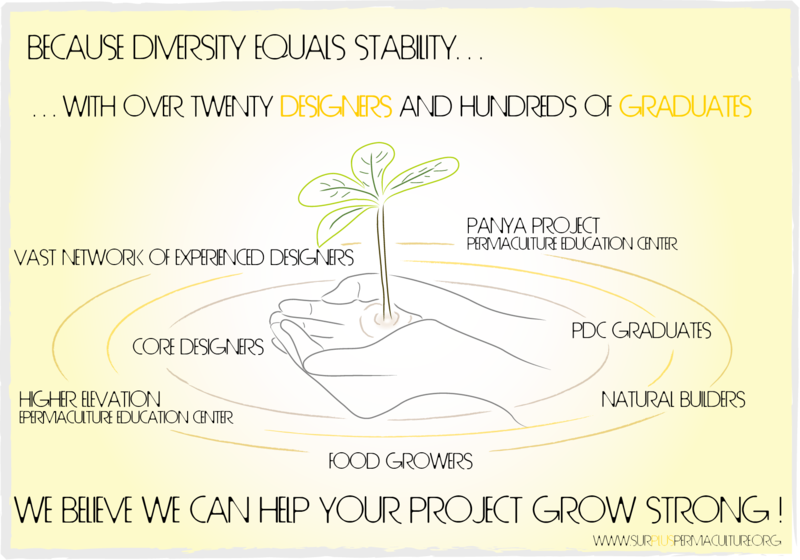 Surplus works in close cooperation with The Panya Project and acts as a professional platform for their most experienced designers. All of our designers are connected with each other through a unique system of exchanging services and time. Therefore, by reaching out to Surplus, you automatically reach out to a vast network of people and we will all collaborate to make your project a succes.